Here's a fun way to commemorate summer vacations at the cottage or adventures on a local lake with the whole family. 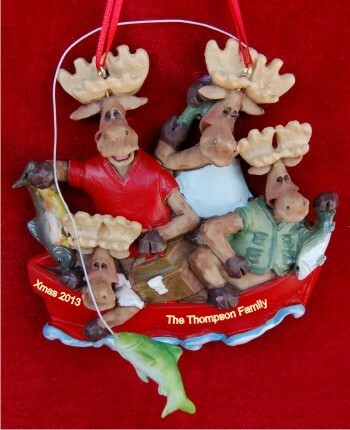 The boating: moose family of 4 personalized Christmas ornament is loaded with fun detail and bright colors that will bring a lighthearted touch to the tree. Our calligraphers will add your custom details to the moose family of 4 boating ornament personalized for added significance. 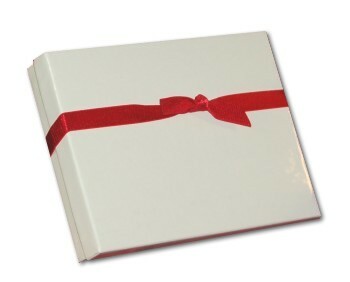 It's one of our holiday ornaments that arrives in our handsome velvet pouch.